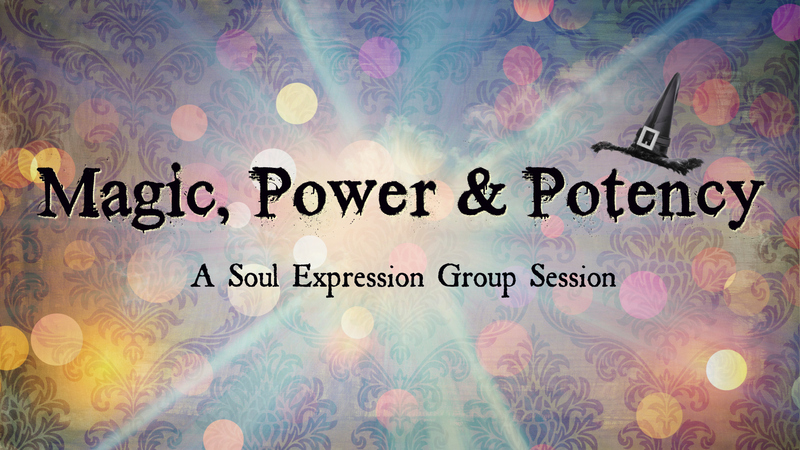 I host regular Soul Expression group sessions online and in person. Group sessions are a great possibility for anyone who wants to find out more about how I work and how you can benefit from this type of work/play. Tap into and release your blocks and limitations created in this and other lifetimes! If it isn’t love, it can be released, so we can work on releasing anger, sadness, grief, fear, phobias, anxiety, PTSD, etc. In the group setting, I work with participants one-on-one. Depending on the number of participants you may or may not get one-on-one work but you will still benefit from the energy shifting and releasing happening. All upcoming dates are listed below – feel free to contact me for more information. In this edition of Intuitive Soul Tapping – MAGIC, POWER & POTENCY – we are going to identify, clear and release your blocks to being and using magic and manipulation to create and actualize the life that YOU desire. We’re going to brush off your cobwebs and give you permission to allow yourself to access and use your own powers, gifts and potency. Does it feel wrong, weird or unsafe to do things the “easy” way? To use your magic and energy to your advantage? To go against the grain and do things your way, following your own wisdom and guidance? Whether you already identify as a mystical figure, a magical creature, a powerful sorceress or a manifestation wizard, dabble in the unknown, the different, or are just learning to trust your intuition – if you are called to a more magical existence within, to transcending human reality and want to integrate more magic into your daily life – join us! Because in this human reality, it takes Magic, Power and Potency to live a truly authentic life. 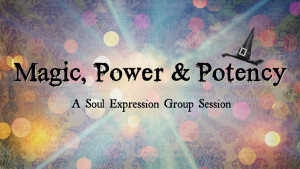 Join Diane Lanthier of www.SoulRestoration.ca for an evening of Intuitive Soul Tapping – a powerful combination of intuitive guidance, channelling, and energy healing tools like EFT and Access Consciousness. Tap into and release your blocks and limitations created in this and other lifetimes! If it isn’t love, it can be released, so we can work on releasing anger, sadness, grief, fear, phobias, anxiety, PTSD, etc. Drop in – no pre-registration necessary!! $40.00/person at the door. Open to women and men. Parking available.